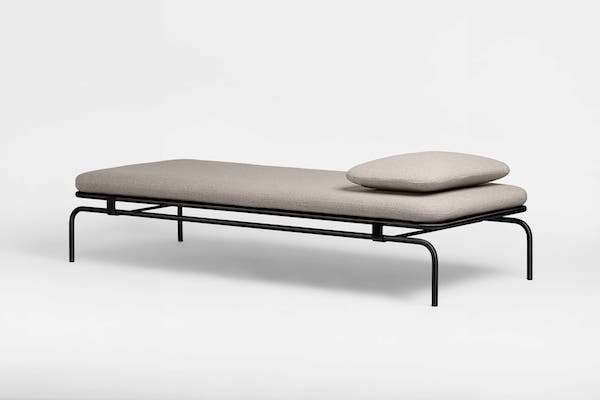 The first collection shows a daybed by Chris L. Halstrøm, and sofa's by Studio David Thulstrup who you may know from amongst other the VIPP loft we recently stayed and wrote about here and Geckeler Michels. Common believes great design and quality should also be affordable, otherwise its not well designed: "We have simply not added all the fat you typically see in retail – we have no stores, no discounts, and if you call us you will probably reach Uffe, the CEO" The collection will soon be expanded with the design from selected other designers by Bjarke Ingels Group, Shop Architects and Baum und Pferdgarten. 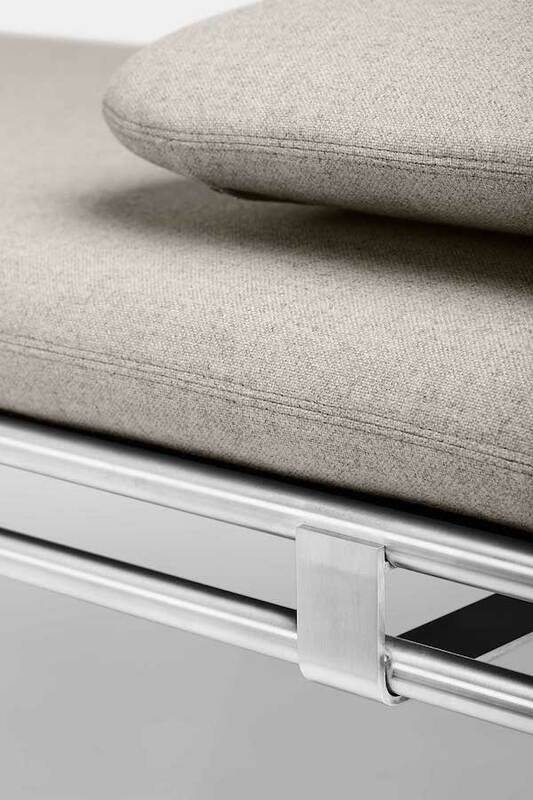 A metal frame either painted or brushed steel and upholstered with Kvadrat fabric in different shades of grey and beige. The legs are rounded in the ends and placed so the mattress on top is almost floating. A pillow can be placed where you want for comfort. 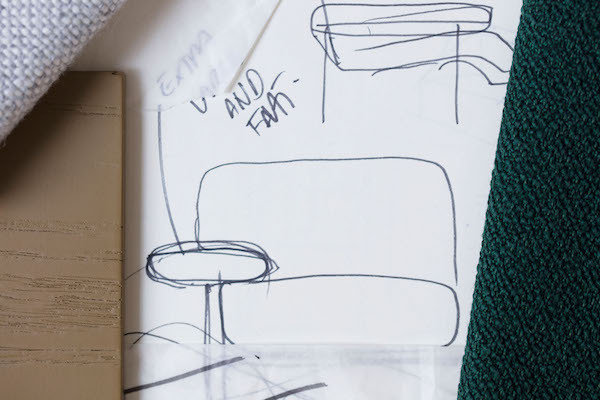 A sofa that has the shell of a bench, with an open back and an armrest. It has big cushions and allow cushioned armrest, that is big enough for your head to rest comfortably on. It has straight lines, but soft materiality in the textiles. 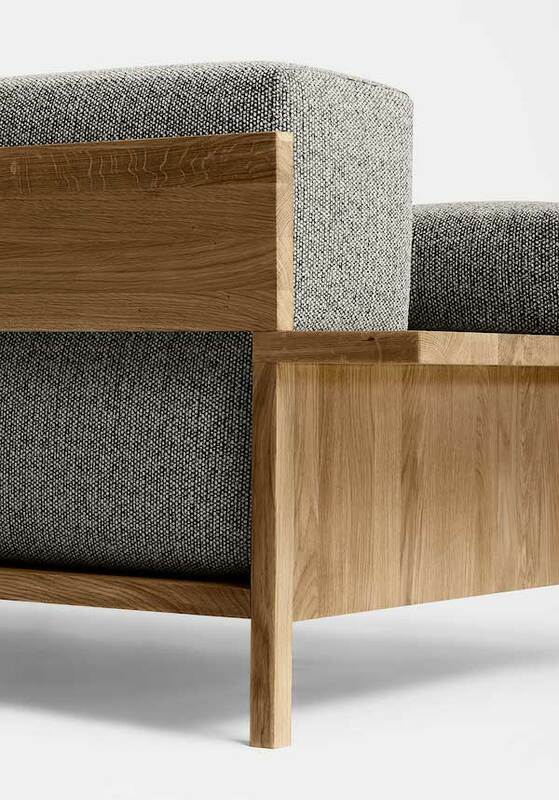 It looks good from all angles, and is especially cool from the back where the wood and the fabric come into play in the backrest. It stands on feet that gives it a light expression. 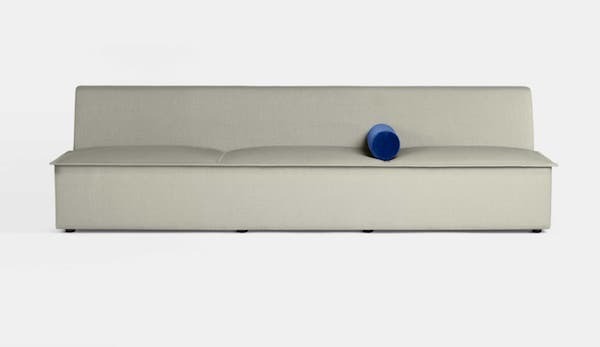 HOOD by Geckeler MichelsHood is a plain and clean looking armless sofa with a seamless backrest and the key visual element of bossed cushions on the seat surface which are delimited with stitched pipings. Available in a 2 or 3 seater and matching pouf in different colours from grey to rose.